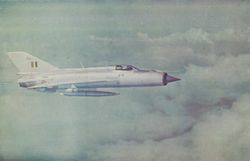 The famous "Sabre Slayer" - was an astonishingly small aircraft compared to its contemporaries. 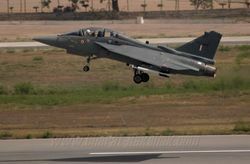 India was the only nation to use the Gnat in action. 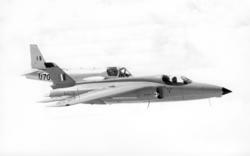 Gnat E1070 in formation with HAL Kiran U703 over the skies of Farnborough in Sept 72 . Adrian Balch who was flying in a Handley Page Hastings captured this beautiful photograph. Gnat E219 sported a rare Tiger stripe paint scheme while in service. 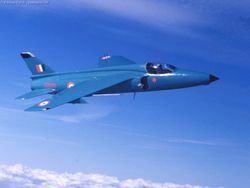 E245 was the first indigenously produced Gnat from HAL. 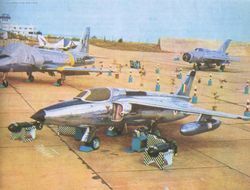 Seen here after its roll out from the production line. Gnat Line up - An enemy pilots nightmare. 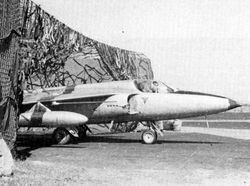 An enemy pilot's nightmare was always to be faced with the Gnat when attacking Indian targets. This image shows a line up of 12 Gnats at a forward airfield in the early 1970s. Parked on the Operational Readiness Platform, a Gnat is protected by camouflage netting but is all ready to go. Four HAL-built Gnats rehearse for a Republic Day flypast over New Delhi. 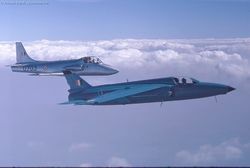 Two under wing fuel tanks are normally carried by the Gnat Mk.1, an increase in internal fuel capacity being one of the major advances planned for the Gnat Mk.2 or Ajeet. Ground up view of a Gnat shows the under wing detail and the pitot boom on the starboard wing. 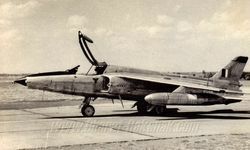 Gnat IE1244 was one of the examples built prior to the 1965 India Pakistan War. 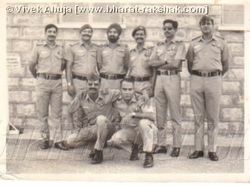 Its history and fate are not known. 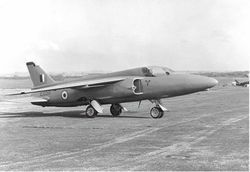 Gnat IE1246 in mid flight. Gnat IE1246 deploys its 'Air Brakes' in mid flight.